Summit Park Peak is a relatively unknown, local's hike for those living near Summit Park, Utah and Park City, Utah. Look on any map, and you will see the official name as "Point 8,618". 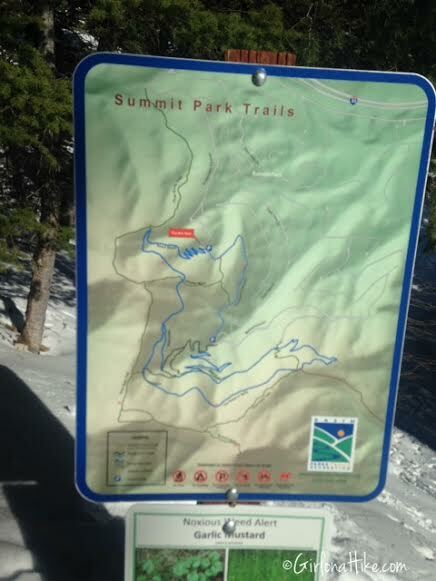 Because Summit Park Peak looks down on Summit Park, UT, the name is fitting. 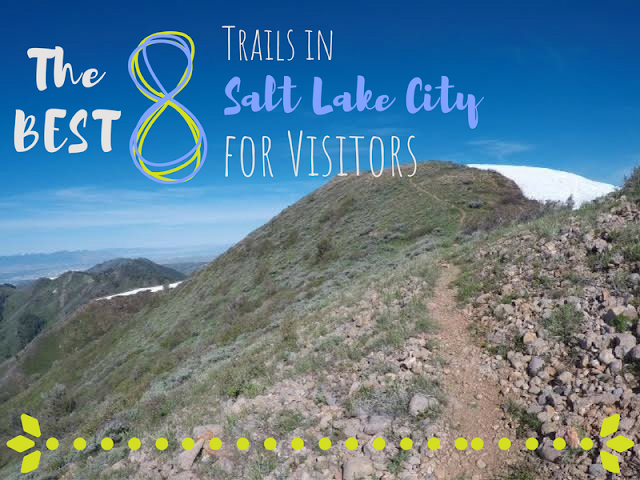 From the summit you will have beautiful 360 degree views of the Wasatch; on a clear day you can see as far West as Antelope Island and Stansbury Island. To the North you can see Grandview Peak, and to the East, the High Uintas (pronounced You-In-taas). 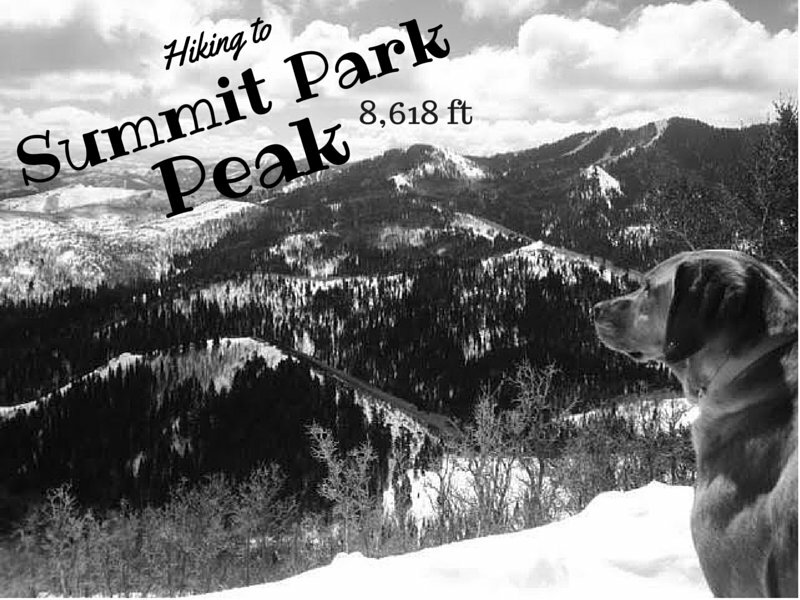 Summit Park Peak is accessible year round, and is popular in Winter for back country skiers, due to the low angle terrain with low avalanche danger. 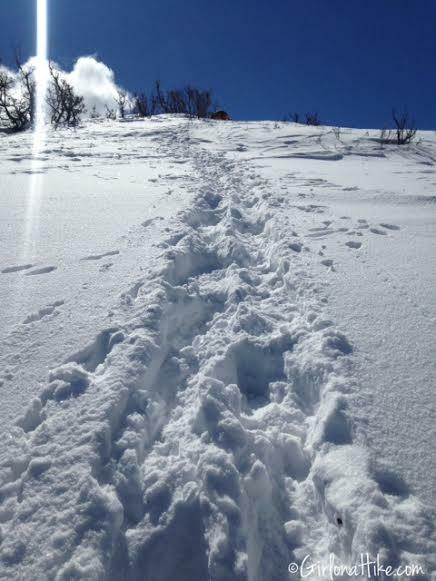 Be sure to grab your microspikes and hiking poles, and get ready for a short but sweet climb to the peak. The Snyderville Basin Recreations District serves as the managing department for over 140 miles of non-motorized trails. 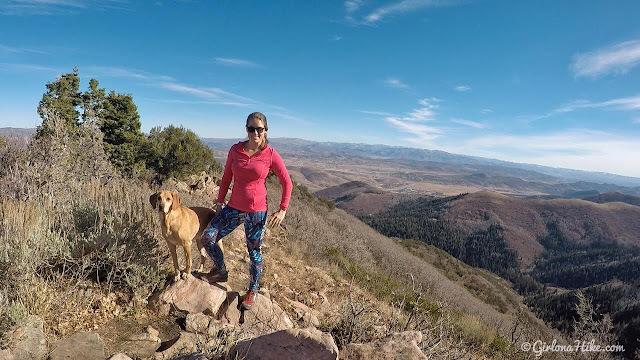 The majority of trails in the Basin are on private property, and the connectivity of the trail system can be attributed to these land owners. By staying on designated trails, outdoor enthusiasts can help preserve public access on private lands. 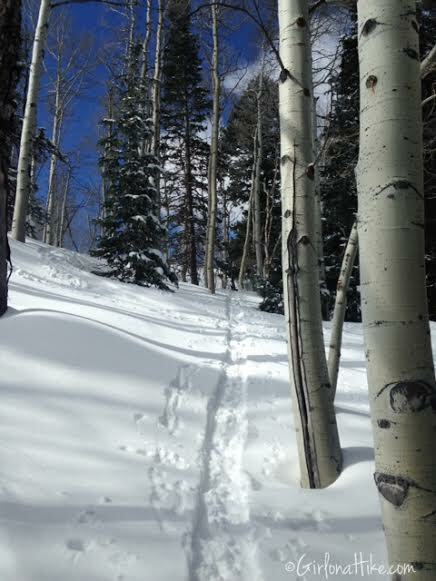 For a list of the Basin Trails, click here. 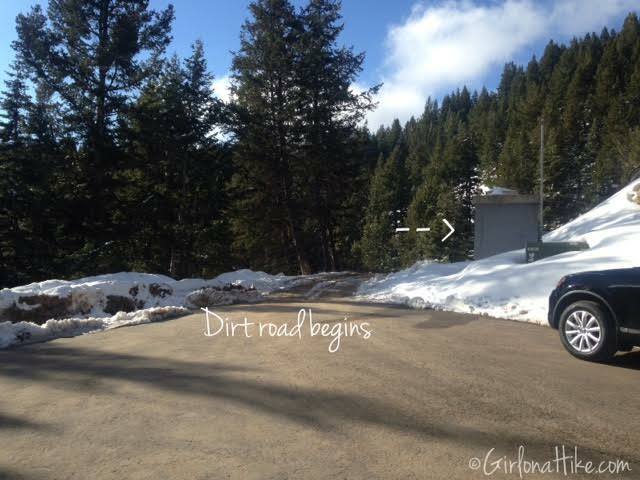 I will be referring to the way I went, starting at Innsbruck Strausse Road in Summit Park, Utah. From SLC drive East on I-80 through Parley's Canyon. Take exit 140 towards Summit Park. At the bottom of the ramp, turn Right. At the first stop sign, turn right again at the Sinclair Gas Station, which will now be Aspen Drive. Continue on Aspen Drive, as it turns into Maple Drive, which turns into Crestview Drive, and then will turn into Innsbruck Strausse Drive. Park at the end of Innsbruck Strausse Drive, where the dirt road begins. You will see an electrical box on your right, and a neighbor's little red storage unit. This is where you will want to park. This area only fits about 4-5 cars. There are no restrooms. Here's a driving map from SLC. This is the parking area for the trail. Begin by walking up the dirt road about 100 yards, and look for the TH on your right side (in warm months you can drive up further and park right at the TH). 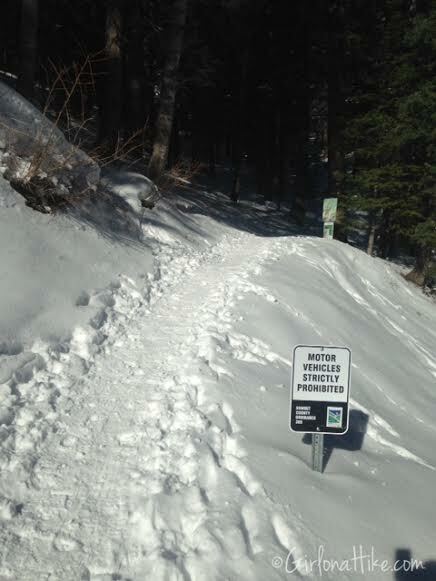 The trailhead will have a sign saying "motor vehicles strictly prohibited". December 2018 - there is now a dogs on-leash sign but nobody does in winter. And will also show a map of the area. There initially 7-8 switchbacks, with a moderate climb. The trail is very well shaded for this portion of the hike. 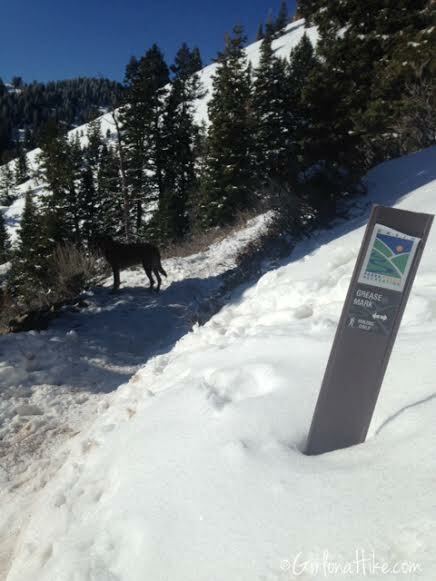 The trail begins to open up more, and spots on the trail were muddy from the recent snow melt. At about 0.7 miles you will come to the first of 3 trail splits. At this first one, stay left to continue up the switchback, and you should now be heading South. 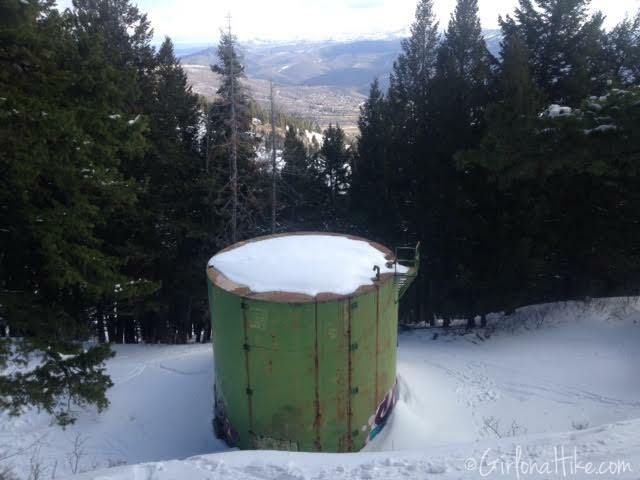 As the trail heads south, you will now have a great view of Summit Park Peak! Continue past the Grease Mark Trail. 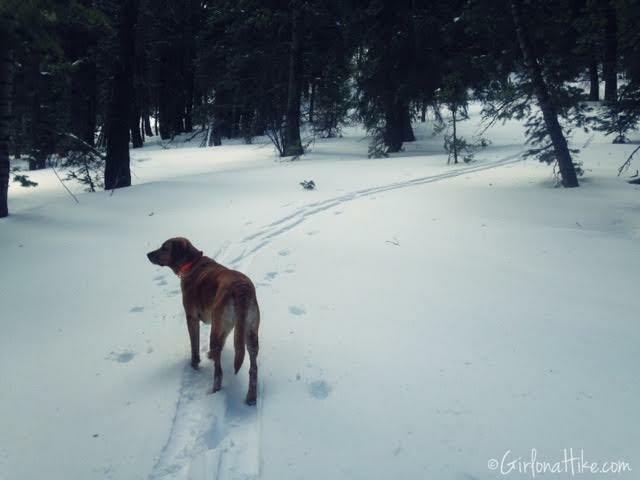 Oh, the life of a trail dog! 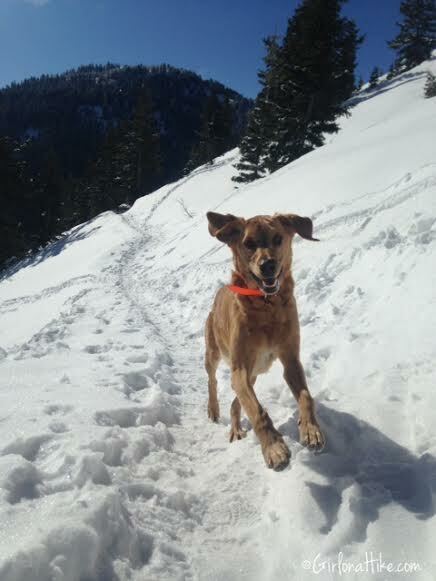 Charlie has a blast running in snow. Soon you will now be on the South facing slope, with small trees, and a more exposed trail. At the 2nd trail split, veer right. At the 3rd trail split, if you continue straight onto the "Trail to WORS" and up a wide road, as did me and Charlie, you will be walking above a green water tank. This is NOT the correct way. 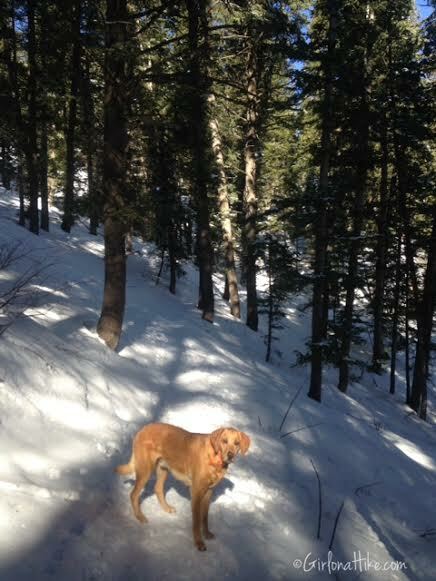 Charlie and I ended up going off trail, following ski tracks. 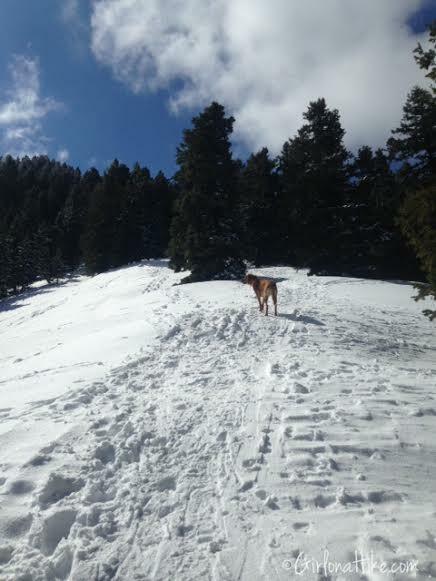 We ended up in knee deep snow! I decided the best option was to backtrack to where I had split off, and continue up the "correct" way, which was following a packed trail to the ridge. 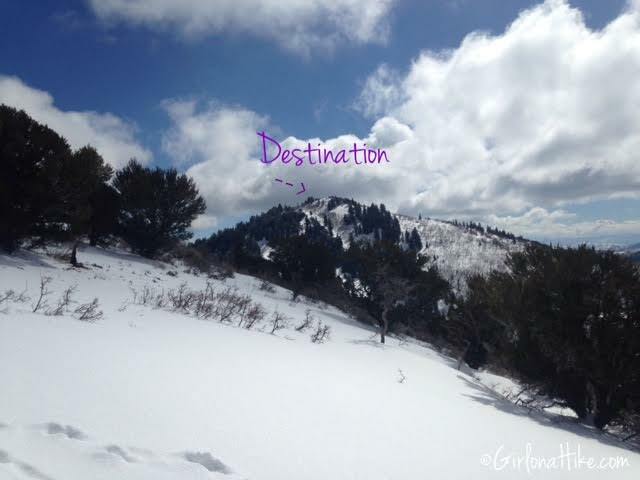 So the correct option is at the 3rd trail split (Over Easy Trail - it may be buried in Winter), to head directly right (up & west) to the ridge. Finally on the right path on the ridge! 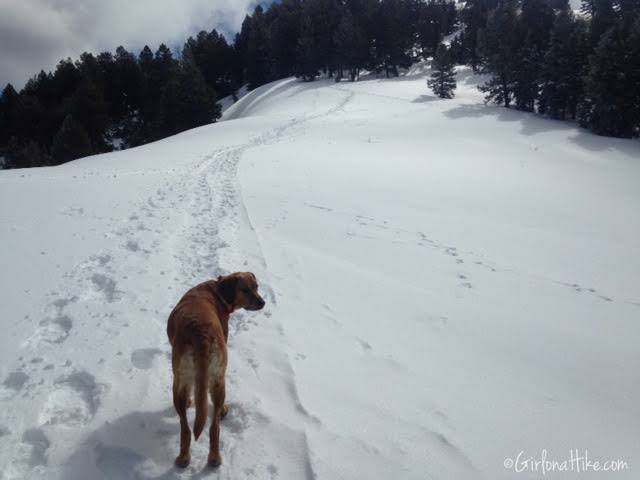 Charlie leads the way. 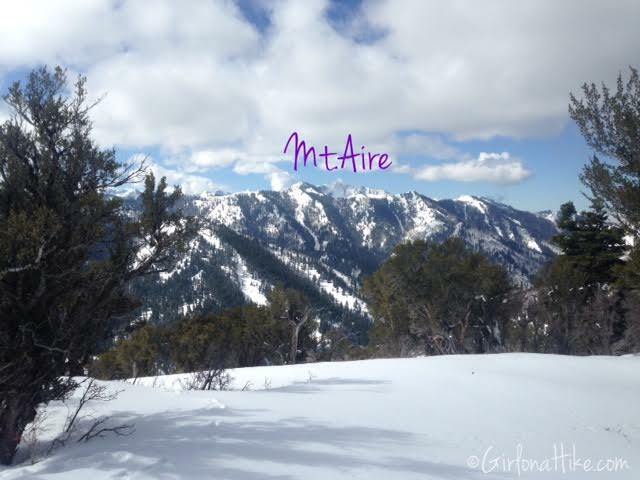 On the next ridge, you will have beautiful open views with Mt. Aire in the distance. Continue South along the ridge. 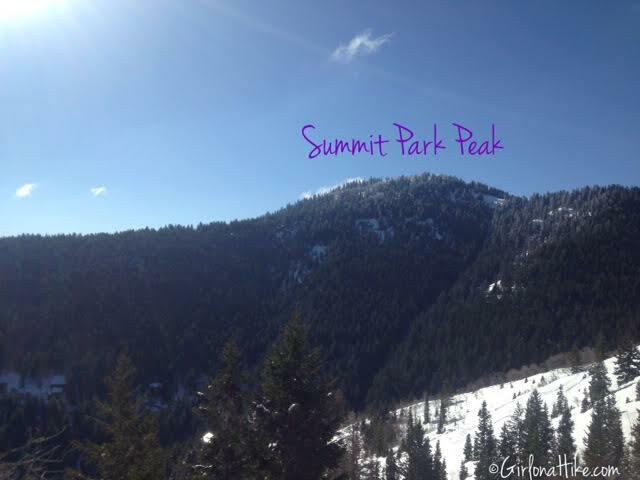 You should now have Summit Park Peak in full view ahead. 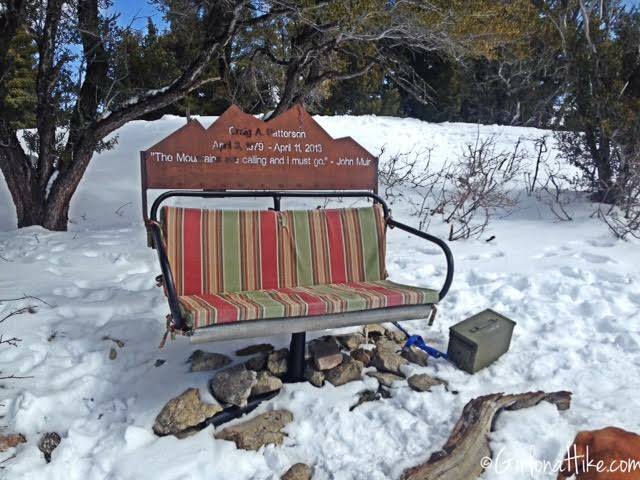 Pass the ski lift chair on your left - a memorial for Craig A. Patterson. 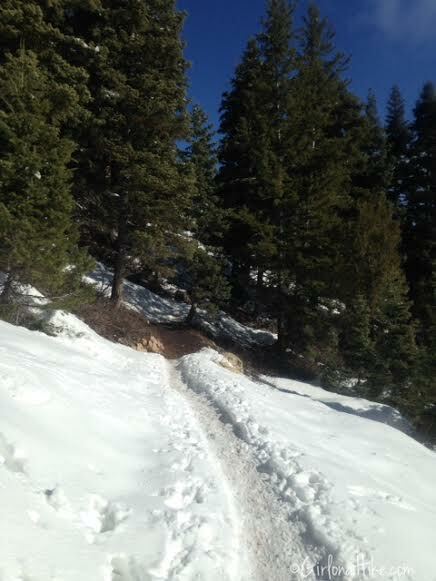 The trail wraps around the west side of the peak, then makes it's way up the West facing slope through pine trees. The final approach is a little steep. This is where my poles really came in handy. 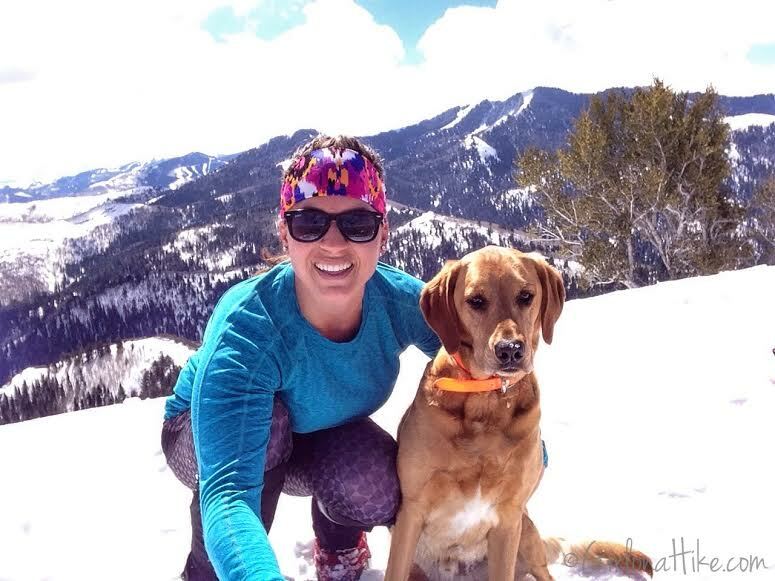 On the summit with Charlie, showing off my newest style of Fitness Fox Headband. Learn about What to Wear While Hiking in Winter - For Women! Return to your car the same way you hiked up. 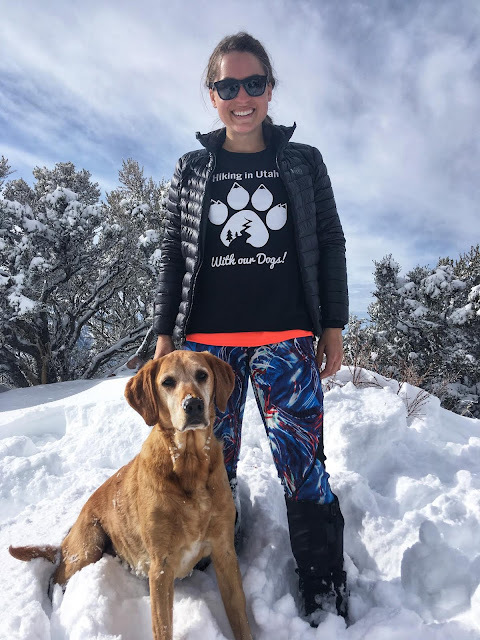 December 1, 2018 we broke trail in almost knee deep snow! I'll have to try this one soon on a sunny even number day. The girls and I have been doing Upper Pipeline and beyond in Millcreek. 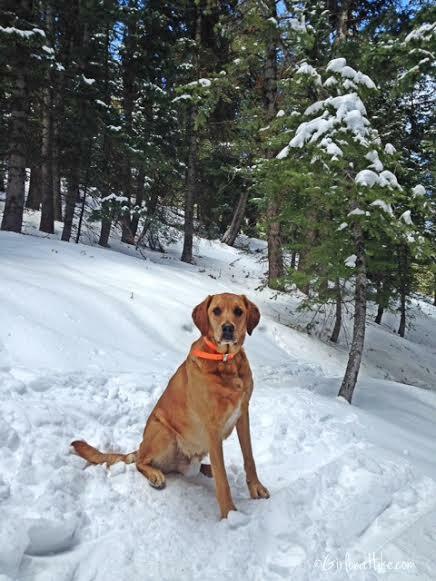 They like it but as soon as we get to Elbow Fork, they come to life because of all the snow and cooler temps. 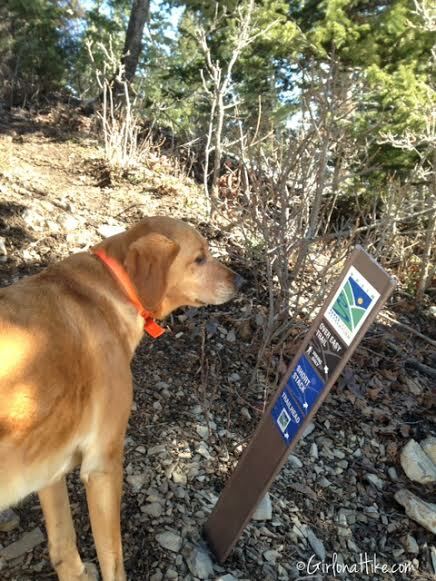 Thanks for posting a new trail for us to try. Just did this with my dog and a group yesterday. I wish I'd looked it up because the group leader didn't give a lot of description and said to bring spikes. I had little traction and broke through a few times. The views were great but I was exhausted and had wet feet. Apparently, it's pretty popular to bring a sled for the way down, too. 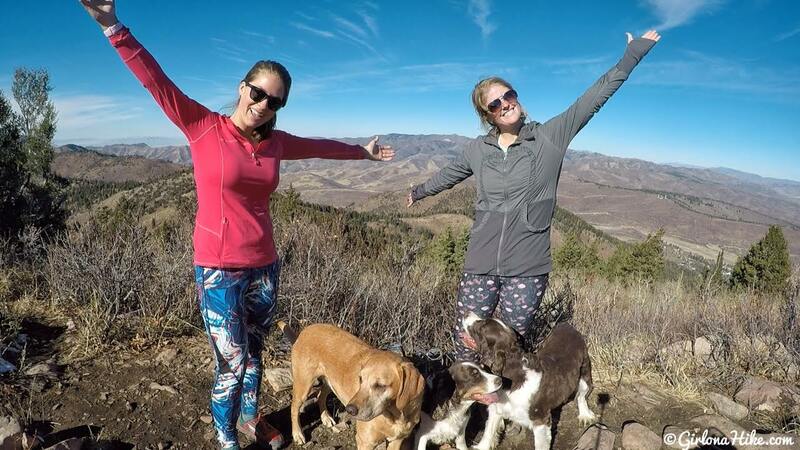 Utah Outdoors Meetup. There were several clearings. Someone let me borrow their sled for a run. 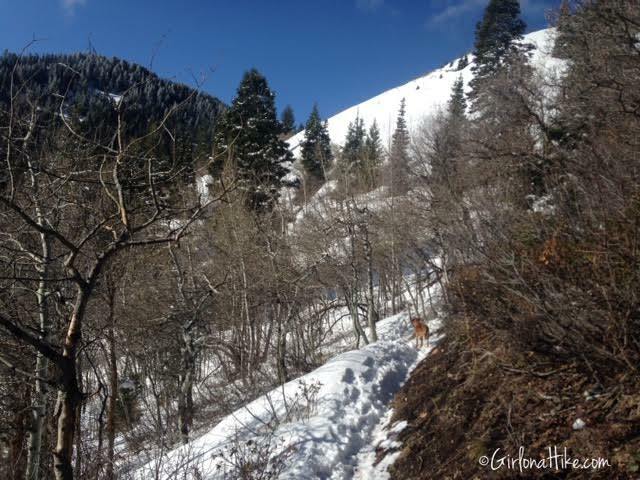 I'm pretty chicken when it comes to sledding so it has to be where there are no people, trees or animals.